It’s time to embrace automation. Can your training business benefit from an automated system? Technology is a training organisation's greatest ally. The right training management software has the power to save your team time and save your business money. This visual guide explores 10 ways your training company can automate course administration. We've also included some key facts and stats about the industry's relationship with training technologies today - information that could give you the competitive edge. Ready to benefit your business today? 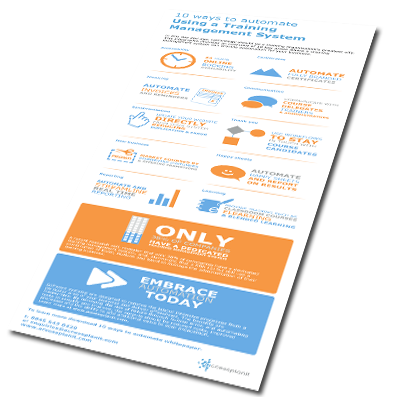 Get your free automation infographic.